You can cut adhesive vinyl for making signboards or cut heat vinyl to make prints. Besides labels and stickers, you can work on woodwork’s, electronics, and custom apparel just to name but a few. Regardless of the nature of the surface to be printed, vinyl prints are out of this world. A vinyl cutting business is indeed a great startup idea. However, without a good business plan, it could come crumbling on you. In addition, factors such as inadequate products, poor logistics, and cost management could also come into play. Setting concrete but achievable goals would set up your business for success. Starting a successful vinyl cutting business involves having an idea, constructing a business plan and executing it. What exactly do you want to achieve with your business? Having a clear focus will always set you in the right direction and helps you avoid destructions. Most importantly, all the daily activities of the business should be aligned with the vision. Your business will never lose track. These are the strategies that you will adapt to make your business successful. Art business is very competitive thus you need to think big. Why should you rely on other people’s strategies and expect similar results? You should have long mid and long-term goals. In addition, you will have to consider the amount of revenue you wish to generate. Besides, you need to know the number of outlets and customers you need. What is your target population and what age group do you wish to print for? If you can figure out all that, your business will succeed for sure. Do you want to be just another vinyl cutter in the streets? If you want to bypass other vinyl cutters, you have to be different. Consequently, your products and services will become more attractive to your potential customers. There is always something new that you can do with vinyl for sure. Just invest your time and resources in research and study and you will enjoy the fruits of your labor. In fact, the main difference between you and your competitors could boil down to just personalized customer care. You should know that you are not the first person to have a Vinyl cutting business. As a result, you have to be nothing but the smartest. You should have all the facts of the business at your fingertips. You should always look for the connections that will make your work easier. You should research and find out how many competitors you have in your local. In addition, you should always check what services they offer. Can you tell the current and future trends of the industry? Besides, you should source benchmarks that you will use to gauge your business. Most importantly, if you can manipulate all these factors, your vinyl cutting business is on its way to success. Can you tell what your ideal customer would be interested in? This will help you to define your target population and their habits. Some customers will be interested in special vinyl printing. Therefore, you should buy a vinyl cutter that is able to satisfy the needs of your customers conveniently.in addition, you should always .understand the motivation behind a customer’s action. You can then focus on those areas that grab their interests and stop focusing on non-essential areas. For any business to make profits, the demand should be higher than the supply. Is there a high demand for vinyl printing in your locale? You should conduct good research into whether there is a great demand for vinyl before investing. These are what will actually determine what your product looks like. As a result, you can deduct the price margins, distribution and promotions plans if any exist. In addition, you can tell the number of prints you are able to do over a given period of time. What is your product development strategy? If you set achievable marketing goals, your vinyl products will sell with ease and give good profit margins. Lastly, you should be able to define your marketing strategy. If you can plan for the eventuality, you can stay ahead of accidents and calamities. Take the example of a car; assume that the business plan is the engine. It will need a body to operate effectively. If you use only the best body parts considering your needs, you will indeed have a very convenient car. Similarly to executing a business plan, you will require efficient machines, high-quality materials, and manpower to operate conveniently. Producing creative and high-quality products and services should not be asking too much of you. A successful vinyl cutting business will need machines and tools to trace and then flip the image. In addition, you will need software for processing, cutting presets then send it to a printer. The printer will then cut the dull sides. Be sure not to cut the flossy side. You will then need to weed process and finally heat press if need be. At the end of the day, it is actually a vinyl cutting machine that will cut the prints. Therefore, you should put all your energy into selecting a machine that will work just right for you. However, it is never easy because it will involve a lot of other machines and accessories to achieve a successful cutting. To understand this, you need to equip yourself with knowledge of how the machine works. The cutter is a computer operated the machine that can cut prints on apparels, woodwork, and many others. In spite of operating on different software, the machine operates more like a printer. In addition, you will have to use special weeding tools and vinyl paper to formulate a print. To cut vinyl, you will need to upload the image that you want to print into the software. In the software, you cut out the image, trace it, and flip backward ready to print. Most importantly, it will assist you to have your favorite presets in place. For instance, you can control what vinyl you want to cut and the blade size you prefer. You can then load the vinyl cutter to the machine and, send your image into the cutter then print it out on vinyl. Thereafter, you will need to weed out to eliminate unwanted parts of the vinyl and give nice shaped prints. You can then choose to use a pressure or heat press depending on the material. The process is indeed tedious and will require the use of several machines to develop your final print. Therefore, to have a successful business, you will need to choose the perfect tools that are just right for you. Size-what is the intended capacity of your business? Can you have a machine cutter that does not fill up your working space? You should never consider acquiring a sizable vinyl cutting machine that cannot fit into your work-space. Cost-are you able to buy cheaper vinyl cutting machines that are not so costly but perform well? The answer is indeed yes. In fact, cheaper models have proved to be just as convenient as the bigger ones. Compatibility-is your vinyl cutting machine compatible with the software and the vinyl type used? A good machine should be able to work with a wide variety of accessories available in the market. Accessories-what other tools accompany your cutter to make it easier to work with? Besides software, a good machine cutter should come with weeding material among other things. A vinyl cutting machine isn’t able to work on its own. In fact, it only assists you to cut vinyl that you consequently use for printing on surfaces. There are so many accessories that you will need to acquire wisely if you want a successful business. Producing creative and high-quality products and services should not be asking too much of you. A successful vinyl cutting business will need machines and tools to trace and then flip the image. You will need software for processing cutting presets then send it to a printer. The printer will then cut the dull sides. Be sure not to cut the flossy side. You will then need to weed process and finally heat press. Vinyl rolls- there are so many types of vinyl that are used for different tasks. This is because they are used on different nature of surfaces. You can have a removable or a permanent adhesive vinyl rolls. In addition, you could also use transfer tape. Nevertheless, they come in various colors. Therefore, you should consider a vinyl roll that suits your needs. Camera-you should always choose a powerful camera that is able to give clear images. Bad images will consequently result in bad prints. Weeding tools and blades-such tools will assist you to remove the unwanted parts of the image on the vinyl roll. The tool should, however, be handy and should not destroy the margins of the image. A cutting mat- it will help you with parallel and perpendicular lines that will help you to process fine cuts on the vinyl rolls. Squeegee-this is a pressing tool that will enable you to level the image smoothly on a surface. Application tape-this is what will enable you to lift a processed image onto a surface to be printed. To have a good image for the Vinyl cutter, you actually need to have good graphics. For somebody who is not well informed on graphics, you might think that this is rocket science. It is a very interesting subject to handle. You will love how easy it is to work with various software to develop graphical images. Simply upload the image into the software and edit it to desirable standards. A good vinyl cutting machine should, however, come with its software. However, some don’t. In that case, you will be forced to go and purchase software that will be compatible with your machine. Choosing the right software to use is the first step to getting good images. There are several types of software. However, you should always look forward to CorelDraw and adobe illustrator. Continuous practice is all you need for better graphics. This is probably one of the most popular graphics developers out there. The software will actually let you draw an image in it. It has a color management ability that will allow you to edit different color profiles. It is easy to decide on what color schemes to use because you can use the imaging pallet. Consequently, you will enjoy the color consistency of your images. In addition, it is easy to tell how the image perspective and composition is going to look like. In other terms, this software will give you better images because you can actually plan, draw and color the art. The features of this software will simply blow your mind. Did you know that you can use it to achieve many different design tasks? The software comes in a beautiful and easy to use interface. You will like the features such as artboards, layers, and shapes. You can simply create paths, strokes, and fields using a drawing tool with this software. In addition, you can combine and clean up paths. You can also arrange your artworks into groups and layers. And that is not all, besides topography, you can adjust several other features. You can adjust color, expressive brush drawing, and effects. In addition, you can export images, print, and leverage its CC libraries. This tool has all these features and much more ensuring you have perfect images for printing. It is evident that the use of the right computer, software, and printer will give your business a huge boost. Besides, you will need the right accessories that suit what type of images you would like to print. These machines are indeed very good and you should look forward to having one for your business. Just like in other businesses, Vinyl cutting business depends on the sales and marketing strategies that you adopt. It is what will ensure cash flow in your business and consequently dictate its sustainability. Thanks to human’s love for art, such businesses always have a large potential to grow. In that case, why do you think some businesses don’t make it to the end? A successful Vinyl cutting business is hell-bent on a good machine and highly skilled personnel. Bad vinyl cutting machines could jeopardize your work, even if you are highly skilled or talented. Besides planning, you should always be able to manage finances well. This and other factors such as discipline will enable you to stay ahead of the competition and make high sales. A business plan is the backbone of any business. There is a common say that goes, failing to plan is planning to fail. Is that why you really want to start a business? A business plan will help you set goals and a vision that keeps you on track all the way. With a good business plan, you can determine your uniqueness and use it against your competitors. You will know your market and make key financial decisions. 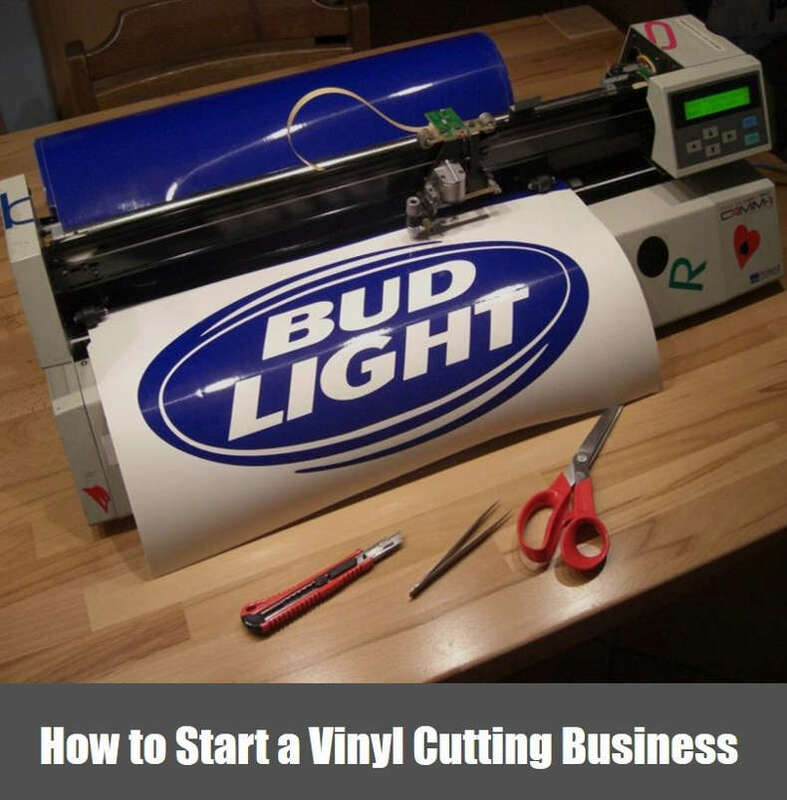 A vinyl cutting business with a good business plan won’t let you down. Business isn’t for everyone because it goes beyond just selling products. Are you someone who can handle a vinyl cutting business? You ought to be well informed and can manage people. In addition, you should be highly skilled on handling vinyl products. Can you be patient when products are not moving? What about handling failure? Challenges can be solved by consultations and seek advice from experts. Discipline in any business is the ability to stick with the business plan that you constructed. If so, can keep off distractions and keep your business on track. In fact, you can always formulate a schedule that you will adhere to strictly for better results. You will be surprised by how much more efficient you will become if you remain disciplined. Most importantly, you will keep everything you use for cutting vinyl safe. Art business requires a very informed, talented and fashion oriented person. You are expected to always be keen to detail and watch out for copyrighted images. Putting a single print on apparel could make or break a brand. Do you have a marketing strategy or capacity to handle such a business? Besides, are you able to keep up with the current and future trends? If not, be sure that you are not going very far I tell you. Are you a good financial manager? Poor financial management has been the downfall of most vinyl cutting businesses out there. Lack of proper financial management will definitely cripple your business. As a result, you should always have a startup costing plan. There is a thin line between one-time costs and ongoing costs. Key financial decisions should be made after considerate evaluation of the business. For instance, you will not want to buy vinyl products that won’t sell fast to ensure the cash floor. Besides efficiency, the delegation of roles is essential for the growth and development of any business. If you want your business to grow, you will need a team .consequently, you will be able to assign roles to them which make work easier and faster. With proper management and supervision, your business could grow in no time. Are you interested in an art business that you don’t have to be so talented to succeed? Vinyl cutting is there for you. You can develop nice prints without necessarily suffering the pain of designing. Instead, there are machines that are specially made for this. Different people have different tastes. Therefore, the ease of which you can customize products for specific people is important. 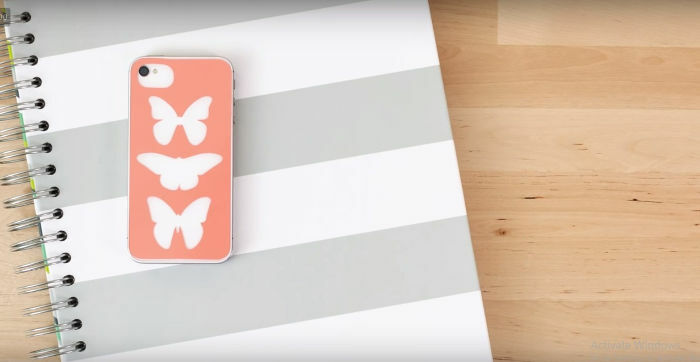 Vinyl cutters will print images designed by various artists in no time. Besides an idea, a vinyl cutting business will demand you to develop and implement an achievable business plan. With artistic skills and business management skills, a vinyl cutting business would pose no challenge to you. In addition, you will need a state of the art equipment’s to help you achieve your dreams. Nevertheless, should always aim at producing a high-quality product while minimizing the cost of production. Most importantly, vinyl cutting is a business worth venturing into.